The Slovakian economy has outperformed most countries in the Eurozone over the last few years, earning its reputation as the Tatra Tiger. But weak growth in Europe has resulted in reduced demand expected for Slovak exports and a subsequent slowdown in investment growth. And, as with other countries, finding affordable lines of credit has become increasingly difficult. Slovakia presents a range of challenges, but Dentons can help you find the opportunities. Dentons works with you to optimize your prospects. Our lawyers in Bratislava can guide you across a broad range of commercial transactions and business matters, helping you overcome any language issues by speaking fluently in English, German, Slovak and Czech. Collaborate with us and enjoy the benefits of our close relationship with our Prague office—reflecting the two countries' common history and the strength of their present international relations. Several of our senior lawyers are dual qualified, helping you get the best of both jurisdictions. Whether you are a local or foreign company you receive cutting-edge advice from lawyers that understand your business and provide solutions in many areas, including acquisitions, joint ventures, privatizations, greenfield projects, financing and securities transactions, real estate transactions and dispute resolution. CNIC Corporation Limited: Advising the client, an investment company owned by the Chinese government, on the purchase of Prologis Park Galanta-Gáň in Slovakia. Prologis is a world leader in logistics real estate. Park Galanta-Gáň comprises 240,000 square meters of class A logistics space across four facilities. The purchase was the largest logistics assets sold in the CEE region. 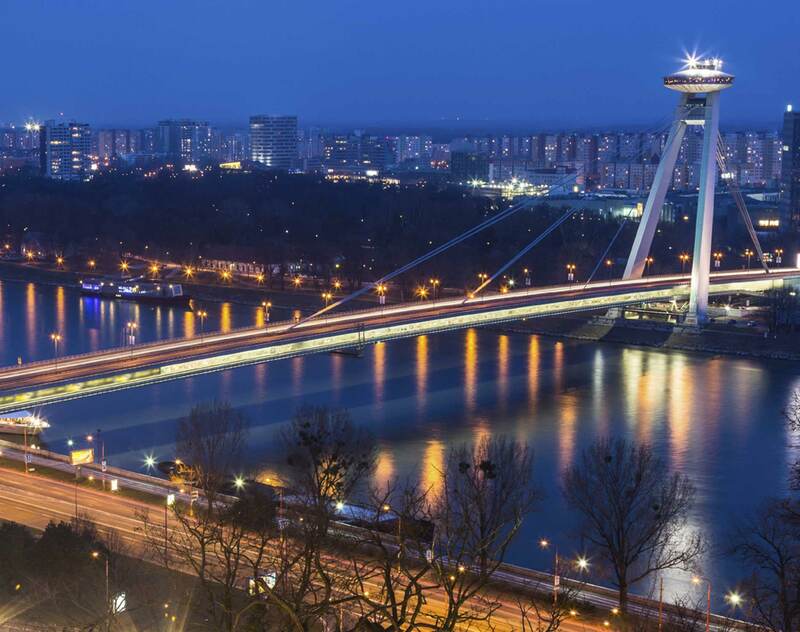 For this multi-disciplinary deal, our Bratislava team provided seamless real estate, corporate and due diligence advice, illustrating our ability to provide integrated services to fulfil our clients’ complex needs. This matter is also further evidence that Dentons has become the “go to” law firm for Chinese investors looking to invest in the CEE region. Dr. Max: Advising on a €180 million senior leveraged dividend credit facility provided by a regional club of banks (UniCredit, Raiffeisen, Komerční banka, Tatra banka) to the largest retail pharmacy group operation in the CEE region. This involved English, Czech, Slovak and Polish law advice, coordinated by our Bratislava office. Sanofi/Zentiva: Advising the company on regulatory, competition, contract, employment, criminal, GDPR and other matters in numerous European countries in relation to the sale of client’s generic division business in Europe and the related reorganization. The transaction covers multiple jurisdictions, and our role lies also in coordinating advice across several jurisdictions. We have been advising the client in relation to numerous strategic as well as legal questions relating to a very complex divestment of currently highly integrated operations. The advice required a high level of understanding of the business operations and complex regulatory environment surrounding the life sciences sector. In addition to the actual legal advice, our role was also to coordinate multi-jurisdictional work stream and ensure that suggested business solutions are in line with the highest regulatory standards and to the extent possible consistent across various business operations and countries. The transaction represents one of the largest transactions in the life sciences sector in the last years. Tatra banka (a member of the Raiffeisen Group): Representing the consortium of banks led by Tatra banka in connection with the financing of the construction of the Slovak National football stadium, developed and constructed by a subsidiary of Grafobal Group. The construction is partially co-financed by the government of the Slovak Republic, and the stadium is to be transferred to the Slovak Republic after its completion. Nay: Advising a Slovak electronics retailer on the acquisition of the Electro World chain of 26 shops in the Slovak and Czech Republics from Dixon Retail. N Press: Representing the publisher of an independent daily newspaper Dennik N, in a breakthrough and highly publicized case relating to the actions of public authorities to penalize the client for exercising its freedom of expression rights. Sberbank Slovensko: Advising on syndicated facilities in the value of €870 million to Slovenské elektrárne, the Slovak subsidiary of ENEL. One of the facilities will be guaranteed by EXIAR (Russian ECA), and we also advised on the guarantee. The financing is being used for the completion of Slovak Mochovce nuclear power plant and for SE's general corporate purposes. Tatra banka (a member of the Raiffeisen Group): : Advising on the syndicated loan to refinance the Eurovea multifunctional complex in Bratislava. The syndicated loan was arranged by Tatra banka. The other banks involved include Komerční banka (a member of the Société Générale Group) and Všeobecná úverová banka (a member of the Intesa Sanpaolo Group). This was the largest real estate loan on the Slovak market in 2016. Česká spořitelna (a member of the ERSTE Group), Komerční banka (a member of the Société Générale Group) and UniCredit Bank Czech Republic and Slovakia: Advising the syndicate of banks on the term and revolving facilities for Fortuna Entertainment Group N.V. on its acquisitions of Fortuna Romania (remaining stake in it) and Hattrick Group by Penta Investments group. This was a complex leveraged finance transaction, unique in that it funded two separate acquisitions and involved six jurisdictions. Banca Intesa at Beograd, Všeobecná úverová banka and Privredna banka Zagreb (all members of the Intesa Sanpaolo Group): Representing the consortium of banks as lead counsel in connection with an investment loan to a subsidiary of GTC for the development of ADA Mall located in Belgrade, Serbia. The transaction was a demonstration of our regional English law and cross-border capabilities. Všeobecná úverová banka (a member of the Intesa Sanpaolo Group): Advising a local syndicate of banks led by Všeobecná úverová banka on refinancing of Digital Park Einsteinova project. The Digital Park Einsteinova is an exceptional administrative complex of buildings strategically positioned on Einsteinova Street, with excellent accessibility to the most important city arteries in Bratislava. Glance House case: Providing criminal defense of prosecuted spouses Robert and Adriana Číž for alleged fraud in the transfer of business shares in several companies connected with the residential construction project in Bernolákovo. Criminal prosecution was conducted despite the fact that the defendants were the only ones who invested financial funds in the project and were indeed the real victims of a fraud. The first instance court ruled that the fraud had not happened and acquitted Mr. Číž and Mrs. Čížová of all charges. Dentons is also acting in four other civil litigations arising from the Glance House case, which are directly related to these criminal proceedings. AXA Investment Managers Private Equity Europe SA: Advising on the acquisition of a majority of shares in Competence Call Center Group (CCC) as well as on the structuring and financing of the transaction. This was AXA’s first commitment in the sector of call center and outsourcing services. The CCC Group, headquartered in Vienna and present in Austria, Germany, Turkey, Switzerland, Slovakia, and Romania, counts more than 2,000 employees and is a leading European company in this sector. Our private equity teams in Frankfurt, Bratislava, and Bucharest advised AXA on all relevant legal and tax structuring aspects of the transaction, working closely together with Vienna-based law firm Hausmaninger Kletter on aspects of Austrian law. Continental AG: Representing the leading German auto parts supplier on senior secured notes issuance by a US subsidiary having an aggregate value of US$950 million in the Czech Republic, Hungary, Germany, Poland, Romania, Slovakia and Spain. We provided local counsel in Czech Republic, Germany, Hungary, Spain, Slovakia, Poland and Romania. This project involved teams from Bucharest, Prague, Bratislava, Warsaw, Budapest and Madrid, who acted as local counsel to Continental in their jurisdictions. This project demonstrates once more our capacity to handle complex cross-border financing and capital markets work. Life Sciences and Health Care companies regularly face new challenges related to legislative changes. We have prepared a brief overview of selected legal, regulatory and media news from the Slovak Republic and the European Union from the last month.